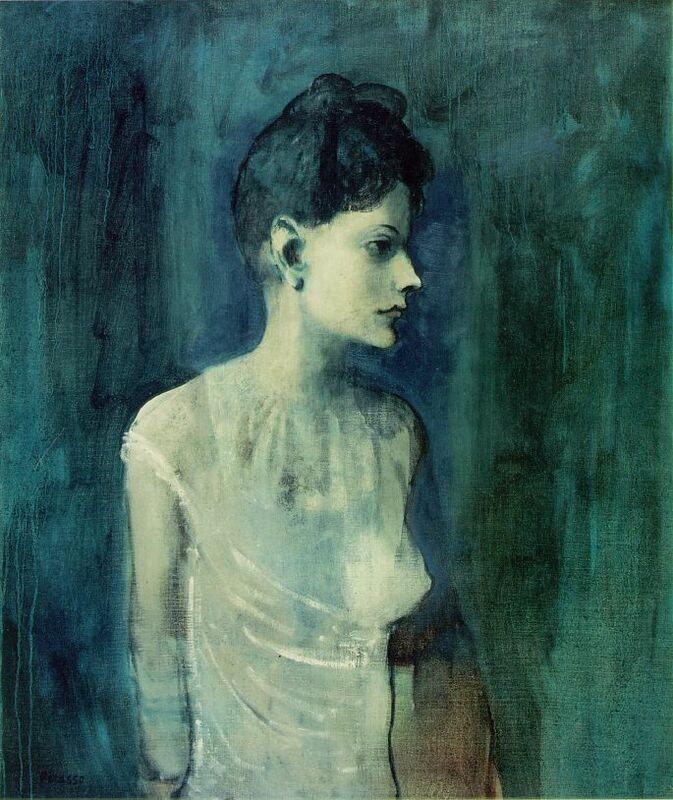 The new exhibition at Tate Britian, Picasso and Modern British Art, is a triumph. In analysing Picasso’s complex relationship with the UK and his influence upon Modern British painters and sculptors, the Tate approach a well-trodden artistic oeuvre with a new, fresh perspective. The exhibition not only shows off some wonderful Picasso’s, including many lesser known works from the beginning of his career, but it also places the spotlight on some lesser known British artists such as the superb, prickly and moving work of Graham Sutherland, promoting them to the undisputed limelight enjoyed so regularly by Señor Picasso. The story of Picasso’s relationship with the UK runs throughout the exhibition, both through the works on show and by way of useful curator commentary placed alongside the canvases. Who would have thought that the artist, so universally accepted as a leading genius of modern art, and whose paintings comprise the top three most expensive paintings ever sold at auction, should have once been so inexorably spurned by the British art institution? When his work was first exhibited here in 1910, one critic, GK Chesterton described one of Picasso’s cubist paintings thus: “a piece of paper on which Mr Picasso has had the misfortune to upset the ink and tried to dry it with his boots”. 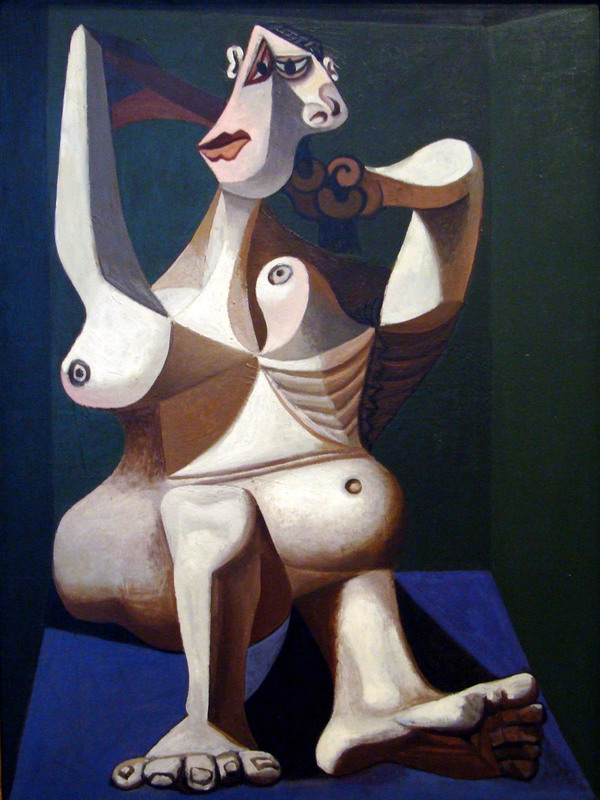 This sort of reaction was by no means unique, and with his few British fans stemming almost universally from groups of budding artists such as the Bloomsbury group with the exception of a few steadfast collectors, it was many years before one of Picasso’s works entered the public collections in Britain. 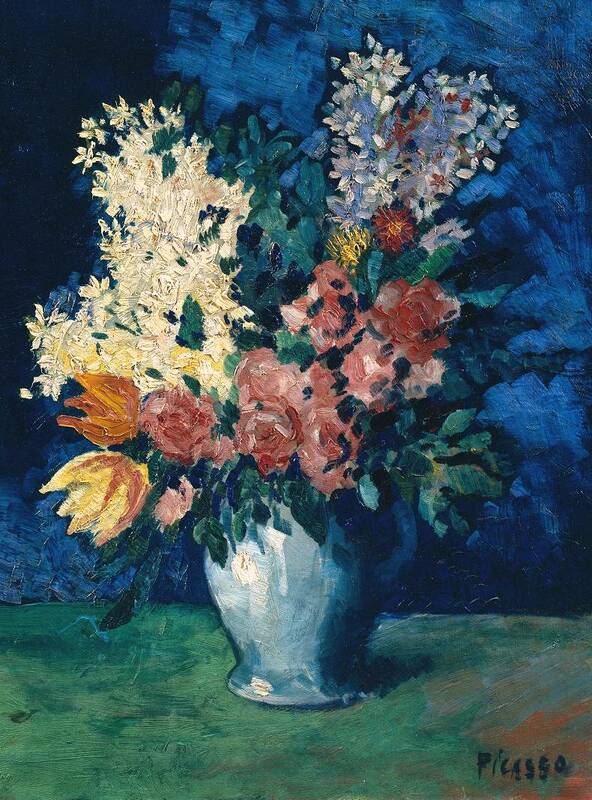 In fact when Britain did at last buy a Picasso work, they made the purchase of probably the most innocuous and dull painting Picasso ever created – Flowers (1901) – which was purchased in 1933 by Tate. Picasso’s popularity in England did increase in the inter-war period, with works entering the private collections of collectors such as Douglas Cooper, Roland Penrose and Hugh Willoughby, as well as the stir caused as the worldwide propaganda tour of Picasso’s masterpiece, Guernica, passed through the UK in 1938 in support of the Spanish Republican cause during the Spanish Civil War. Nonetheless, it was not until post-WW2, when, numbed to the horrors of war, a newly optimistic peace-time Britain was ready to truly accept and celebrate the talents of Pablo Picasso. 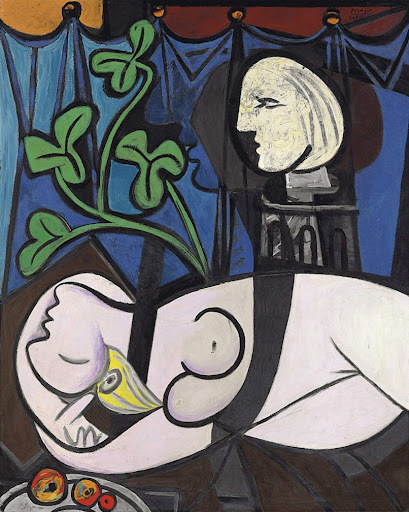 Shortly after the end of the war in 1945, the Victoria and Albert museum held an exhibition of Matisse and Picasso, and in 1960, Tate held the largest exhibition of Picasso’s work to date, an exhibition which proved popular enough to attract some 500,000 visitors. 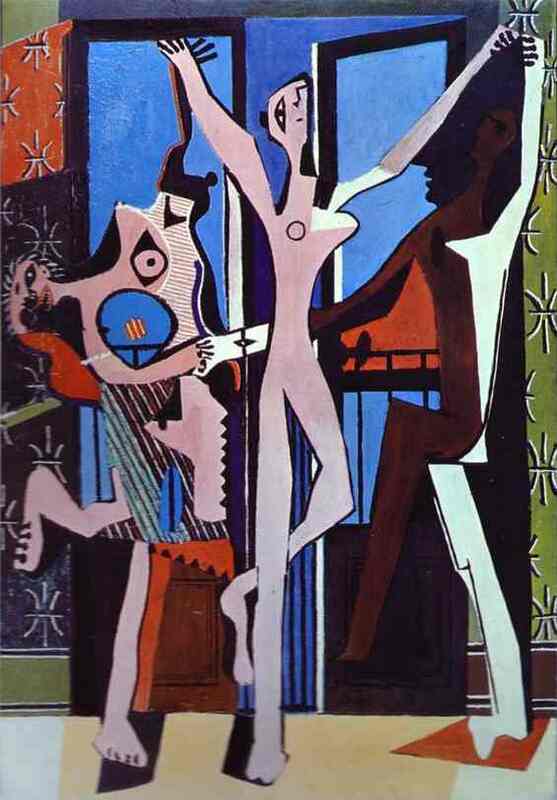 It was only after this time that Picasso agreed to sell what he regarded to be one of his most important works to the Tate Gallery in Britian: The Three Dancers, a sale which was agreed in 1965. The work remains one of the masterpieces of Tate Modern’s collection. Perhaps it’s not all that surprising that Britain was slow to accept Picasso. Historically, the Brits have been a bit slow in adopting anything which causes a disturbance of the traditions which they have always held to be dear. Just look at House of Lords reform – the labour government tried to reform the upper house of Parliament in 1999, but clearly found the disturbance of tradition so ultimately unsettling that they have left the reforms only half completed to this day, a house of semi-herditory peers suspended in history. Even in his time, Turner’s later, more impressionist works proved to be somewhat controversial, even though, by the time the French Impressionists rose to the fore, Turner, cited as a huge influence for the likes of Monet, was held dear to the hearts of the British public. When Picasso came along, the Brits were only just swallowing the new craze of impressionist work coming over from France. 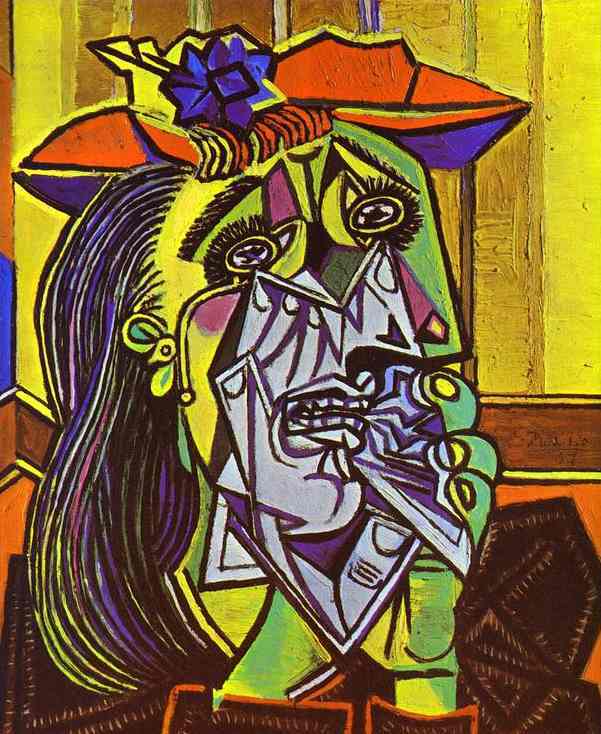 Picasso’s cubism and misplaced faces proved a little too radical for most. It is for this reason that Britain, by contrast with the likes of MOMA in New York, holds comparatively few Picasso’s in its public collections (Perhaps this is why Britain is trying to make up for it’s past vacillation by so readily accepting crappy modern art work like Tracey Emin and Martin Creed (you know – lights on, lights off) into its folds? Yes, once again, Britain is out of touch it seems). 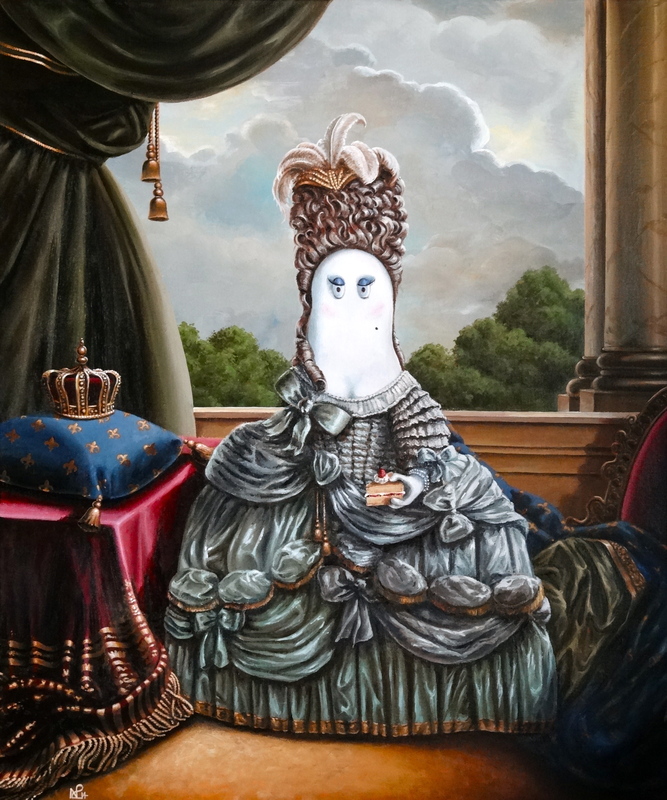 But despite all those years when Picasso was conspicuous by his absence in the UK’s public galleries, this did not do anything to prevent our budding young artists from being heavily influenced by his work. The second thread of Tate’s exhibition demonstrates how comprehensively Picasso influenced the works of British artists of the time. Duncan Grant, for example, saw many of Picasso’s works when he was in Paris mixing with the likes of Leo and Gertrude Stein. 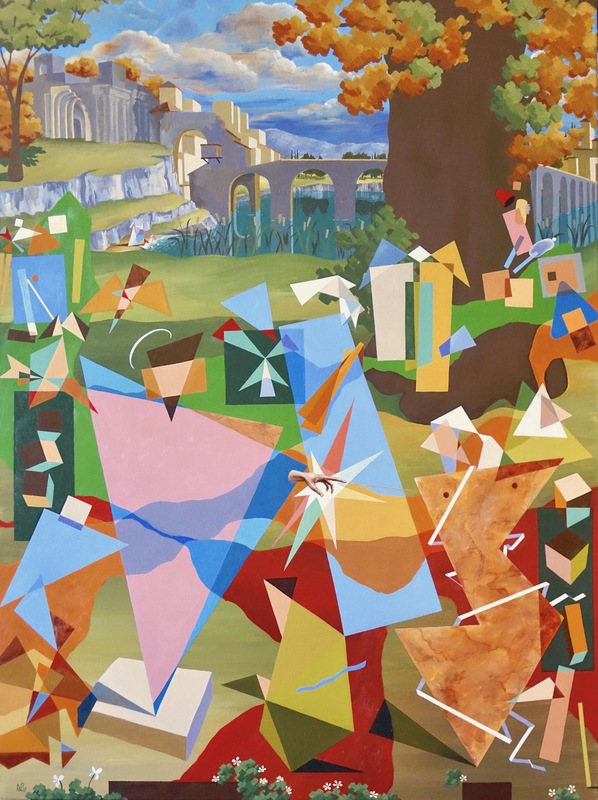 Grant quickly adopted the African-style works which predominated in Picasso’s work around the time of Les Desmoiselles d’Avignon, as well as responding to the collages pioneered by Picasso and his Cubist colleague, Georges Braque. 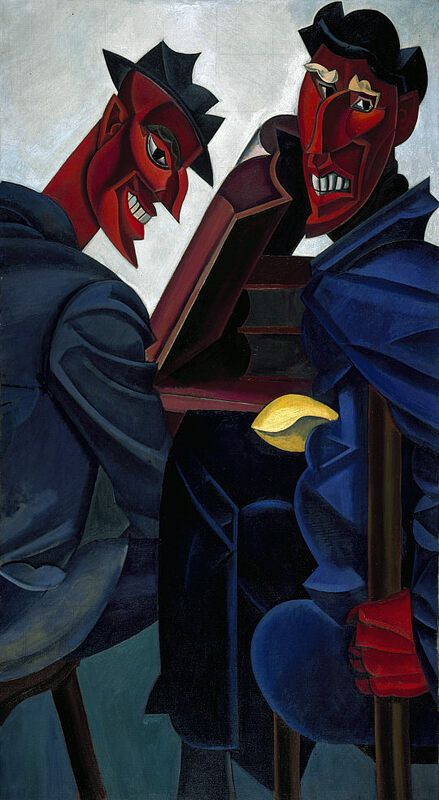 So too was Wyndham Lewis, leader of the Vorticist movement, influenced by Picasso’s work, although he actually sought to criticise Picasso who he considered to be overly sentimental and putting the modern movement “under a cloud”. In fact Lewis’ painting A Reading of Ovid (1920-1) (one of my favourites from the exhibition, sought to criticise Picasso’s return to large curvaceous classical figures at that time (such as The Source, below). 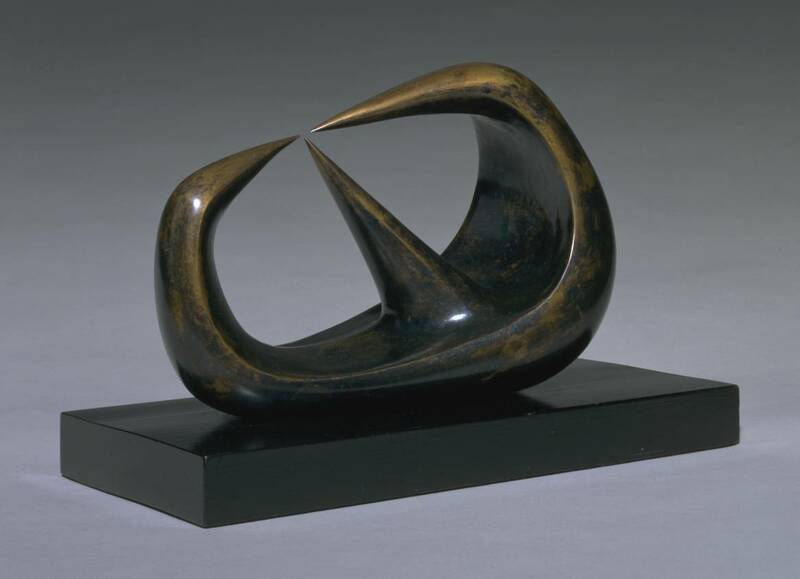 Of other artists influenced by Picasso over the years, amongst them Ben Nicholson (whose first abstract works were notably cubist in style) and Francis Bacon (who readily adopted Picasso’s screaming figures from the Guernica era), one of the most strikingly influenced is British sculptor extraordinaire, Henry Moore. The exhibition proficiently sets up direct comparisons between many of Moore’s sculptural forms and drawings and Picasso’s work. 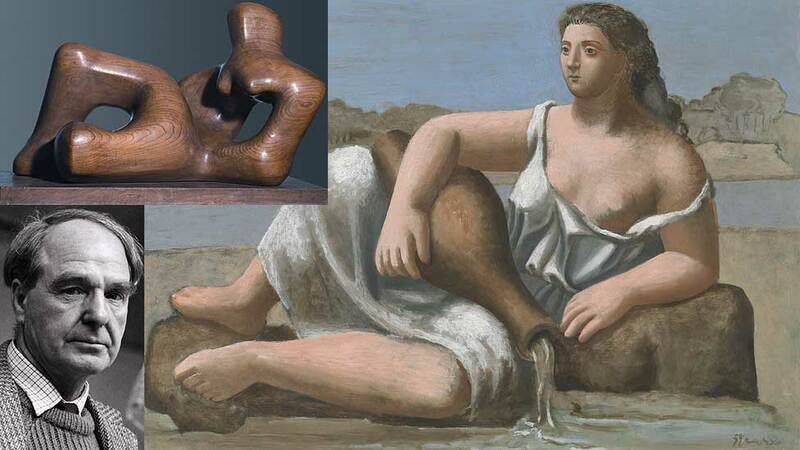 For example in his 1936 Reclining Figure, you can see a direct reference to Picasso’s classical work, The Source. 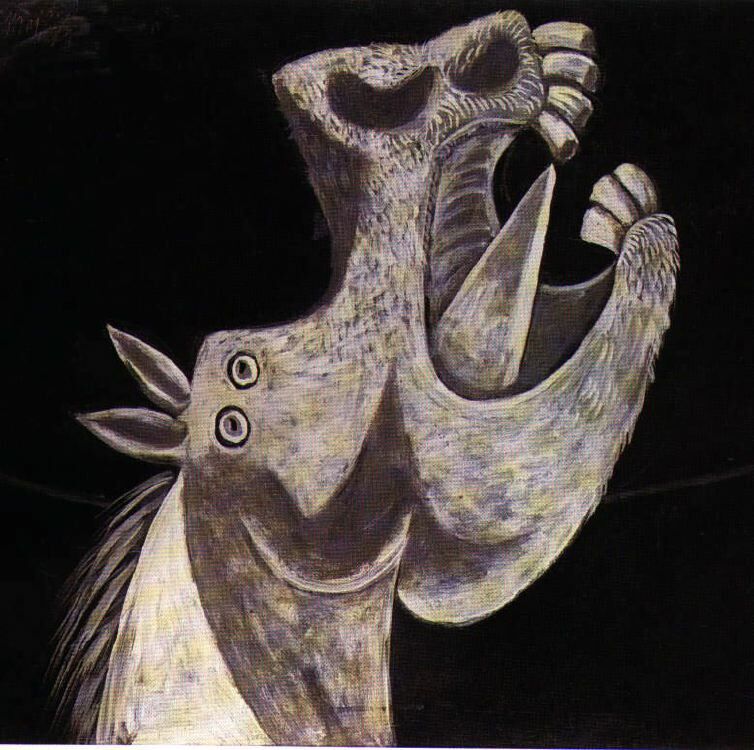 Meanwhile, Moore’s incredibly unsettling and violent work, Three Points (1939) appears to reflect the screaming mouths of Picasso’s Guernica figures, painted two years earlier. Probably my favourite of the British artists on show was Graham Sutherland, whose works had largely escaped my radar before I saw some of his works a few months back at the Pallant House Gallery in Chichester. 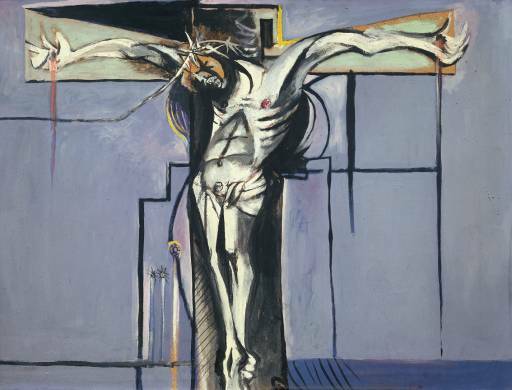 Sutherland, who acknowledged his debt to Picasso and in particular to Guernica as he set about painting a number of unsettling works during wartime Britian, particularly in his images of the bomb-damaged English cityscapes and his thorn-like figures, is probably best known for his Crucifixion which he was commissioned to paint for the church of St Matthew, Northampton. One such work related to the commission was included here – a blue-backed crucifixion which I just adored. Some critics who have been to this exhibition had derided the British artists included in the show, pointing out that next to Picasso, their works fall by the wayside. I disagree. 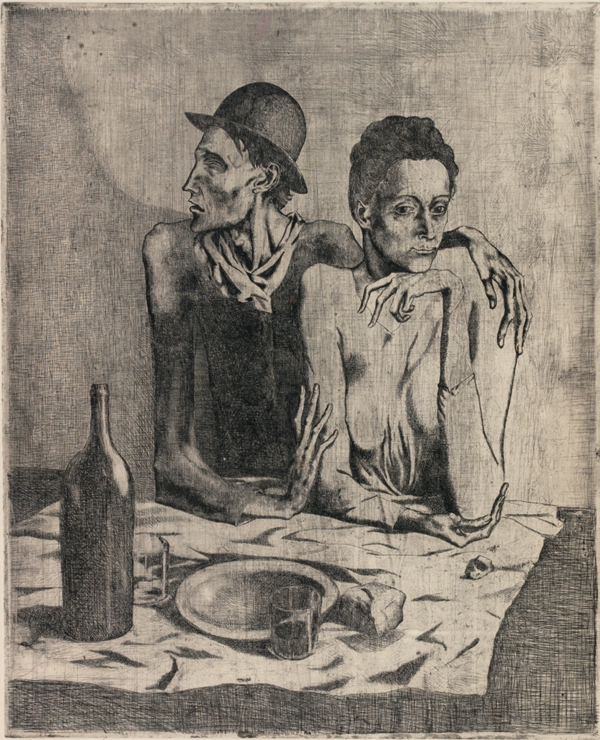 Of course it is clear that many artists owe a great debt to the superbly imaginative, constantly changing oeuvre of Picasso (me included), but this is what artists have always done throughout history – borrowing from one another – just like Picasso himself did when he worked relentlessly on reimagining Las Meninas by Velazquez as well as works by Manet and Delacroix. 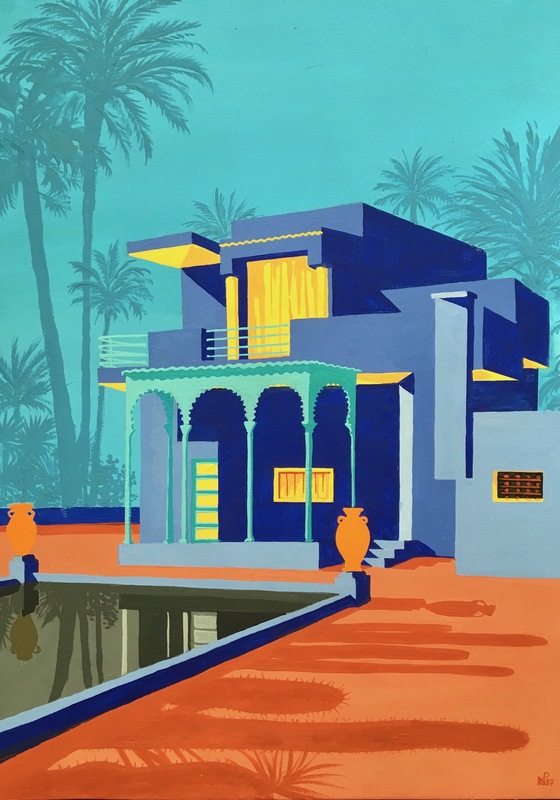 Nonetheless, all of the British works show an originality and vibrancy of their own, from the undisputed sculptural genius of Henry Moore, to the next level of cubism – photographic cubism, advocated by David Hockney. Of course the true star of this exhibition is Pablo Picasso, but then, that kind of is the point of the show. 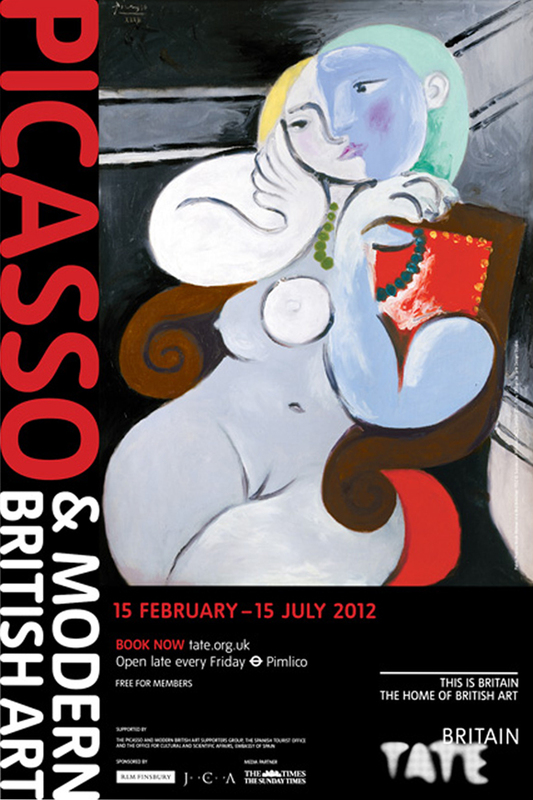 Picasso and Modern British Art runs until 15 July 2012 – well worth a visit!